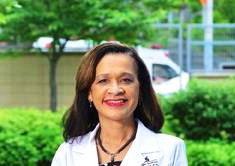 Angela Diaz, M.D., Ph.D., M.P.H., (NAM), (chair), is the Jean C. and James W. Crystal Professor, Department of Pediatrics and Department of Environmental Medicine and Public Health, at the Icahn School of Medicine at Mount Sinai. After earning her medical degree at Columbia University College of Physicians and Surgeons, she completed a Master in Public Health from Harvard University and a PhD in Epidemiology from Columbia University. Dr. Diaz is the Director of the Mount Sinai Adolescent Health Center, a unique program that provides comprehensive, interdisciplinary, integrated, medical care, sexual and reproductive health, mental health, dental and optical services to young people. Under her leadership the Center has become one of the largest adolescent-specific health center in the U.S., serving more than 11,000 young people every year – for free. The Mount Sinai Adolescent Health Center is a major training site in the field of adolescent health and medicine, with research funded by NIH. Dr. Diaz is a member of the National Academy of Medicine (NAM), where she sits on its governing council, and chairs the Board on Children, Youth and Families at the National Academies of Sciences, Engineering, and Medicine. Dr. Diaz has been a White House Fellow, a member of the Food and Drug Administration Pediatric Advisory Committee, and a member of the Board of Directors of the New York City Department of Health and Mental Hygiene. In 2003, Dr. Diaz chaired the National Advisory Committee on Children and Terrorism for the Department of Health and Human Services. In 2009, she was appointed by Mayor Michael Bloomberg to the New York City Commission for Lesbian, Gay, Bisexual, Transgender and Questioning (LGBTQ) Runaway and Homeless Youth Taskforce. Dr. Diaz is active in public policy and advocacy in the U.S. and has conducted many international health projects in Asia, Central and South America, Europe and Africa. She is a frequent speaker at conferences throughout the country and around the world. 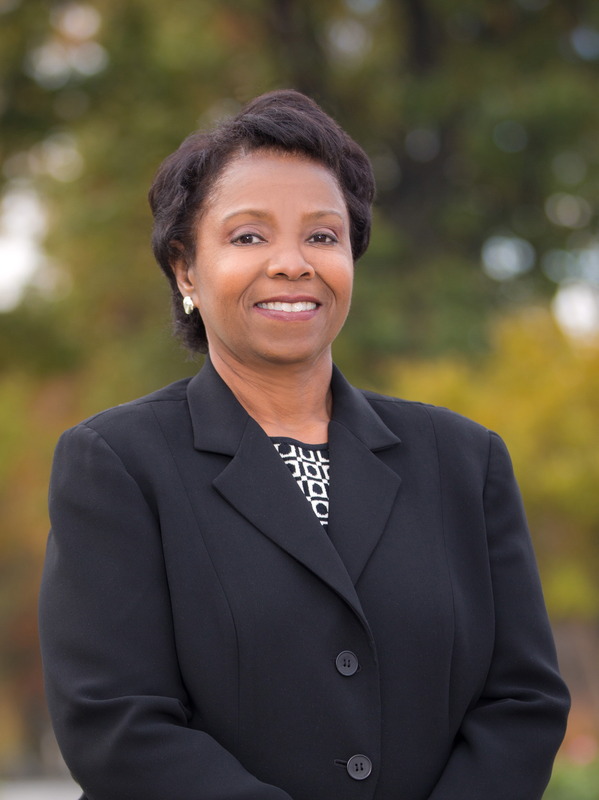 Harolyn M. E. Belcher, M.D., MHA, is the director of the Center for Diversity in Public Health Leadership Training at Kennedy Krieger Institute. She is PI of three Centers for Disease Control and Prevention public health leadership training programs to promote diversity in public health research, training, and leadership experiences for undergraduate, public health graduate, medical, dental, pharmacy, and veterinary students. Dr. Belcher is the co-director of the National Center for Health Policy Research Scholars funded by the Robert Wood Johnson Foundation. In 2016, Dr. Belcher received 5-year funding from HRSA to promote diversity in the maternal and child field. Dr. Belcher was Principal Investigator (PI) of two National Child Traumatic Stress Network (NCTSN) grant funded by the Substance Abuse and Mental Health Services Administration (SAMHSA) and completed a K-award from National Institute of Mental Health to evaluate a curriculum that promotes parental emotional well-being and knowledge of child development for young parents of children enrolled in Early Head Start. She is co-PI on a National Institutes of Health (NIH) grant to conduct a cost comparison of two evidence-based parent interventions for young children with emotional and behavioral problems. Dr. Belcher was co-investigator on a community-based Head Start family and child behavioral health prevention intervention grant funded by SAMHSA. In addition, Dr. Belcher was the PI on a SAMHSA grant providing comprehensive substance abuse treatment, health care, social work, parent education, and evaluations for women who were pregnant and drug-dependent and, following birth, their children. Dr. Belcher collaborated on community-based initiatives to support recruitment and parent education of African American parents participating in church-based foster care for children with drug exposure and HIV infection in Tampa, Florida. While in Florida, Dr. Belcher was the director of the Developmental Evaluation and Intervention (DEI) program at University of South Florida. The DEI program provided center and home-based evaluation and treatment services for infants and young children who were treated in Neonatal Intensive Care Units and whose families’ incomes were at 250% of poverty or lower. This program expanded to serve children and families in five counties. Dr. Belcher received her B.S. in zoology from Howard University in 1980, her medical degree from Howard University College of Medicine in 1982, and her master's in health science focusing on mental health in 2002 from the Johns Hopkins Bloomberg School of Public Health. 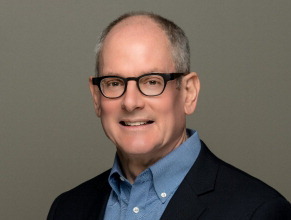 David Britt, M.P.A., retired from Sesame Workshop, a world leader in young children’s education through media after 10 years as CEO, and 8 years as COO. His public service included the US Agency for International Development, US Overseas Private Investment Corporation and US Equal Employment Opportunity Commission. Britt is Board Chair of the Education Trust, which works for education equality and excellence pre-K through college, and serves on the board of the US Educational Delivery Institute, which helps state educational institutions set and deliver quality education to all students. He is a board member of the Public Goods Project, which is dedicated to promoting a culture of health in the U.S., and other public interest goals. He also serves on the board finance committee of INMED Partnerships for Children, which operates community programs for children in South America, Africa and the U.S. Britt served on the I.O.M. Committees on Food Marketing to Children, Obesity Prevention in Young Children, and Accelerating Progress in Obesity Prevention. He has been a consultant to the Robert Wood Johnson Foundation on obesity prevention. He is a member of the Council on Foreign Relations. He earned a B.A. from Wesleyan University, and later served as a Trustee. Britt earned an M.P.A. from Harvard’s Kennedy School. He and his wife, Sue Cushman, live on Amelia Island, Florida. Dimitri A. Christakis, M.D., M.P.H, is a pediatrician and epidemiologist at the University of Washington School of Medicine. 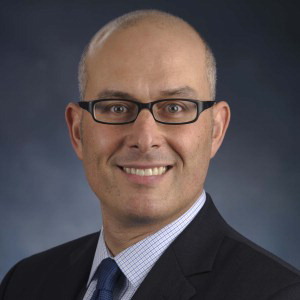 Dr. Christakis is also the Editor in Chief of JAMA Pediatrics. He is currently the George Adkins Professor of Pediatrics at the University of Washington, and the director of the Center for Child Health Behavior and Development at the Seattle Children’s Research Institute. His research has focused on how to optimize young children’s cognitive, social, and emotional development. Funding for his research has come from a number of federal agencies as well as foundations. His work has been featured on the Today show, CNN, NBC, ABC, CBS, as well as all major international print magazine and newspapers. Dr. Christakis regularly gives talks to national and international audiences of parents, physicians, and educators. His research to date has included: TV viewing in the first three years of life can lead to problems with language development as well as attention and cognitive development at school age; playing with blocks can improve language acquisition for children ages 1.5 to 2.5 years of age; watching violent cartoons during preschool ages is associated with aggression at ages 7-10 whereas watching educational programming is not. His current research includes: testing novel approaches to improve young children’s cognitive, social, and emotional development. He is a graduate of Yale University and the University of Pennsylvania, School of Medicine. 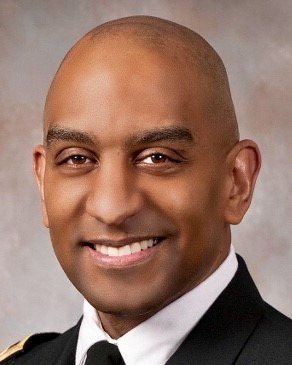 Jeffrey W. Hutchinson, M.D., is a Colonel in the U.S. Army currently serving as the Interim Chair of Pediatrics and Chief Diversity Officer at the F. Edward Hebert School of Medicine Uniformed Services University of the Health Sciences -"America's Medical School". As a 1989 West Point graduate and UCSF alumni his military and medical career has included assignments around the world. He has practiced in every aspect of pediatric and young adult health from infant to soldier care, from training in Hawaii to running a pediatric outpatient service in Germany. Fellowship trained in Adolescent Medicine at the Triservice military program in San Antonio, he has been an advocate of education and young adult health with publications in the Journal of Pediatrics, the Journal of Military Medicine, and the Journal of Adolescent Health. As a combat veteran and member of humanitarian and population health teams, Dr. Hutchinson has experienced the responsibilities and emotions of deployment and has the first-hand knowledge of family issues with deployment and illness. His current assignment is a calling to increase the diversity in medicine and the appreciation of the adolescent learner. Stephanie Monroe, J.D., is President of the Wrenwood Group, a boutique Washington, D.C. health and education consulting firm specializing in early childhood development and education. She served as Assistant Secretary for Civil Rights at the U.S. Department of Education from 2005-2009 after ending a 25-year career on the Senate HELP Committee as Chief Counsel and for more than a decade, serving as Staff Director for the Senate Subcommittee on Children and Families. Over the course of her career Stephanie has contributed to many efforts related to children, youth and families, including the development and implementation of the Child Care and Development Block Grant, the Head Start Act, and the Family and Medical Leave Act. She has been a consultant to a variety of early childhood and health organizations, a guest lecturer and presenter on health and education policy, and an adjunct professor at the University of Maryland’s Graduate School of Public Policy. Stephanie concurrently, serves as Executive Director of African Americans Against Alzheimer’s, a network of the Washington D.C. based UsAgainstAlzheimer’s where she focuses on brain health equity and the elimination of Alzheimer’s disparities in minority communities. 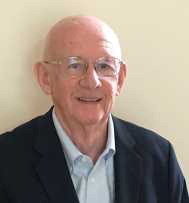 James M. Perrin, M.D., (NAM), is professor of pediatrics at Harvard Medical School and former director of the Division of General Pediatrics at the Mass. General Hospital for Children and associate chair of pediatrics at MGH. 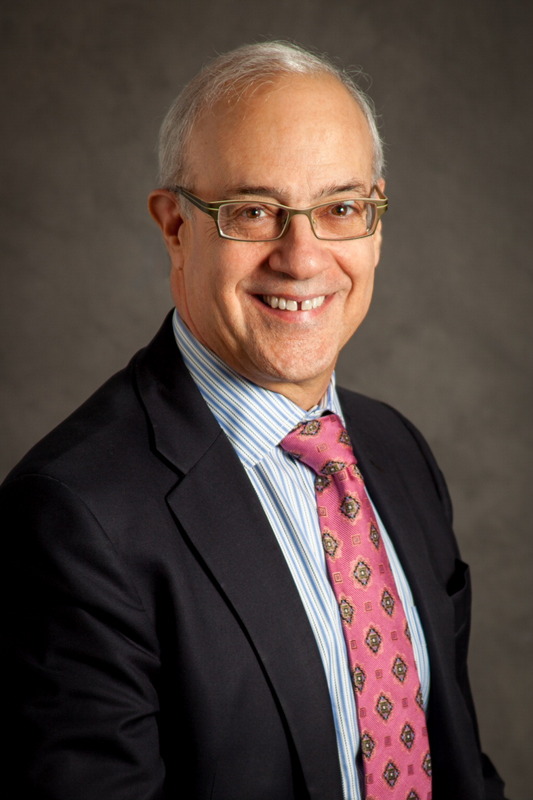 He holds the John C. Robinson Chair in Pediatrics and founded the MGH Center for Child and Adolescent Health Policy, a multidisciplinary research and training center with an active fellowship program in general pediatrics, and directed the center for over 15 years. 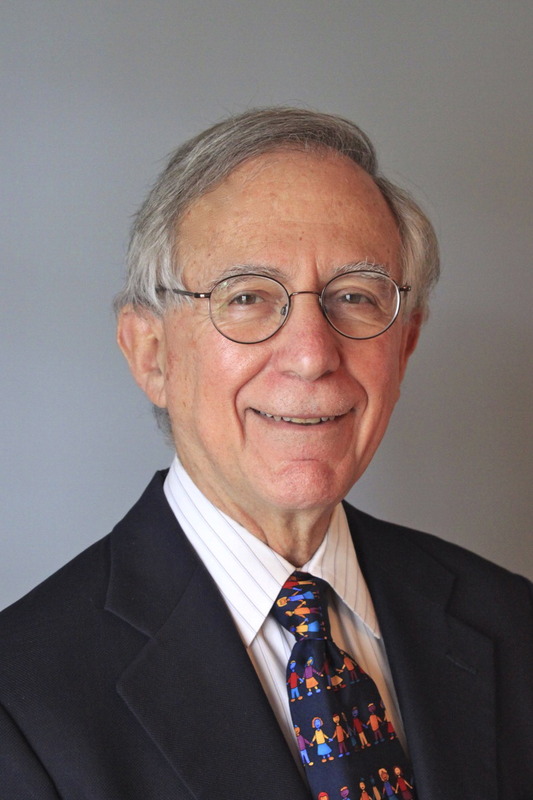 He is a recent past president of the American Academy of Pediatrics, former chair of its Committee on Children with Disabilities, and past president of the Ambulatory (Academic) Pediatric Association. For the American Academy of Pediatrics, he also co-chaired a committee to develop practice guidelines for attention deficit hyperactivity disorder and then a group advising the AAP on the implementation of the guidelines. His research has examined asthma, middle ear disease, children’s hospitalization, health insurance, and childhood chronic illness and disabilities, with recent emphases on epidemiology of childhood chronic illness and organization of services for the care of children and adolescents with chronic health conditions. He headed the Clinical Coordinating Center (based at the MGH) for the national Autism Speaks Autism Treatment Network and the Autism Intervention Research Network on Physical Health, a multisite collaborative aiming to improve evidence-based care for children and adolescents with autism spectrum disorders. He also directed the Evidence Working Group reporting to the Maternal and Child Health Bureau for the Secretary’s Advisory Committee on Heritable Disorders and Genetic Diseases in Newborns and Children. Dr. Perrin was the founding editor of Academic Pediatrics (formerly known as Ambulatory Pediatrics), the journal of the Academic Pediatric Association. Dr. Perrin has served on Institute of Medicine Committees on Maternal and Child Health under Health Care Reform, Quality of Long-Term-Care Services in Home and Community-Based Settings, Enhancing Federal Healthcare Quality Programs, and Disability in America; the National Commission on Childhood Disability; and the Disability Policy Panel of the National Academy of Social Insurance. His experience includes two years in Washington working on rural primary care development and migrant health. After his fellowship at the University of Rochester, he developed and ran a rural community health center in farming communities between Rochester and Buffalo. He received a Robert Wood Johnson Foundation Investigator Award in Health Policy Research. He also served as a member of the National Advisory Council for the Agency for Healthcare Research and Quality. A graduate of Harvard College and Case Western Reserve University School of Medicine, he had his residency and fellowship training at the University of Rochester and has also been on the faculties of the University of Rochester and Vanderbilt University. Nisha Sachdev, DrPH, PsyD is currently senior director of Evaluation at Bainum Family Foundation. She has been involved in research and evaluation for over 10 years. 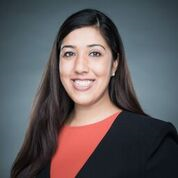 Prior to joining the foundation, Dr. Sachdev was the Research and Evaluation Manager at the D.C. Trust Corporation, where she was responsible for building and overseeing the evaluation for citywide and organizational initiatives. She was also instrumental in assisting the organization and the city in collecting indicators and making data-driven strategic decisions to increase the outcomes for children, youth, and families in the District using a collective impact approach. 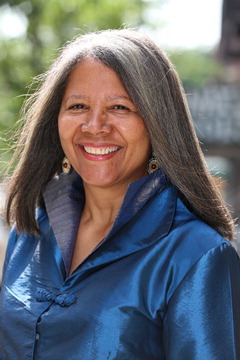 Previously, Dr. Sachdev served as executive director at Coaching for College and founder of Breaking the Cycle, where she was responsible for creating and implementing annual strategic plans, managing program operations, and developing program evaluation systems to ensure quality and effective programming was being provided to youth from some of the most vulnerable areas in the city. Dr. Sachdev was also a consultant at UNICEF and the Ministry of Health of Trinidad and Tobago where she was responsible for developing an adolescent health policy and evaluating a regional program promoting anti-violence. She began her career working as a special education teacher. Dr. Sachdev earned her Doctor of Public Health from the George Washington University and a Doctor of Psychology at the George Washington University focusing on clinical psychology. Donald Schwarz, M.D., MPH, is Senior Vice President of Program, guiding the Robert Wood Johnson Foundation's strategies and working closely with colleagues, external partners and community leaders to build a culture of health in America, enabling everyone to live the healthiest life possible. Dr. Schwarz, a nationally recognized leader in public health and children’s health care, is formerly deputy mayor for Health and Opportunity and health commissioner for the City of Philadelphia where he oversaw the Departments of Human Services, Behavioral Health, and Intellectual Disability Services, and the Office of Supportive Housing. Most recently, he was a foundation director, leading efforts to catalyze public demand for healthier people and the places in which they live, work, learn, and play. Dr. Schwarz currently leads the Foundation’s efforts to promote healthier, more equitable communities, healthy children and healthy weight. During his tenure as deputy mayor in Philadelphia, the city experienced a 5 percent reduction in childhood obesity, and a decline in adult obesity rates. The city also had more than a 50 percent increase in permanent housing for homeless individuals and families, and a 24 percent reduction in the rate of dependent children being removed from their families. Under his leadership, access to the behavioral health system (including the County of Philadelphia’s Medicaid program) increased, and the number of those with serious mental illness who moved to independent, community-based living increased substantially. As health commissioner, Dr. Schwarz worked to initiate successful anti-obesity and smoking cessation programs, introduced electronic health records to the city’s eight federally-qualified health centers, and established a unique public-private partnership to construct a new health center, recreation center, and library complex to serve the needs of the highly diverse South Philadelphia community. Rates of HIV also declined in Philadelphia, the city has reached its lowest rates of infant mortality, and Philadelphia had the highest rates of childhood immunization of America’s large cities. Before entering government service, Dr. Schwarz was vice chairman of the Department of Pediatrics of the University of Pennsylvania School of Medicine and deputy physician-in-chief and Craig-Dalsimer Division chief of Adolescent Medicine at The Children’s Hospital of Philadelphia. He was professor of Pediatrics in the University of Pennsylvania Schools of Medicine and Nursing and a senior fellow at the Leonard Davis Institute for Health Economics at Penn. Earlier in his career Dr. Schwarz was a Robert Wood Johnson Foundation Clinical Scholar. An active researcher in the area of adolescent risk behaviors, Dr. Schwarz received both public and private funding for work that examined the issues of injury and its prevention in urban, minority communities, public policy approaches to adolescent violence, and physician- and nurse-practice-based interventions to improve outcomes for high-risk infants. Dr. Schwarz, a board-certified pediatrician, holds a MBA in health care administration from The Wharton School, University of Pennsylvania. He received his M.D. from Johns Hopkins University. 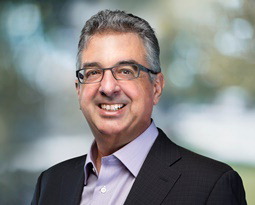 Martín J. Sepúlveda, MD, Sc.D., (NAM), is an IBM Fellow, member of the National Academy of Medicine and CEO of CLARALUZ LLC an advisory and project consulting firm specializing in health data, analytics, and technology. He had a distinguished career in the IBM Corporation serving in numerous capacities including Vice President of Health Systems and Policy Research and VP Integrated Health Services. He led health policy, strategy, health benefits and operations, occupational health and well-being for IBM globally. He is distinguished in public and population health, health systems, data, analytics, applied research, quality and business processes. Dr. Sepúlveda completed residencies in internal medicine at UCSF Hospitals, and occupational/environmental medicine at the National Institute for Occupational Safety and Health. He trained in the Epidemic Intelligence Service of the U.S. Centers for Disease Control and Prevention, and completed a fellowship in internal medicine at the University of Iowa Hospitals and Clinics. 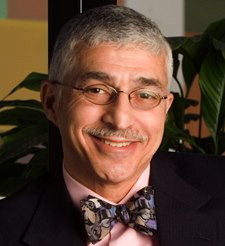 He serves on several boards including the Board on Children Youth and Families (NAM), the Board of Overseers of the University of Pennsylvania School of Nursing, and the Council on Research for Development. Dr. Sepúlveda received his M.D. and M.P.H. degrees from Harvard University., and Doctor of Science from the University of Iowa. Martin H. Teicher, M.D., Ph.D., has been director of the Developmental Biopsychiatry Research Program at McLean Hospital since 1988. He was director of the former Developmental Psychopharmacology Laboratory (now the Laboratory of Developmental Neuropharmacology), and is currently an associate professor of psychiatry at Harvard Medical School. Dr. Teicher was a founding member of the editorial board of the Journal of Child and Adolescent Psychopharmacology and is currently on the editorial boards of The Journal of Child Psychology and Psychiatry and BMC Medicine. He is a member of the Scientific Advisory Council of the Juvenile Bipolar Research Foundation, and has been part of Harvard University's Brain Development Working Group. He has served on or chaired numerous review committees for the National Institute of Health, received 30 years of continuous federal funding, published more than 200 articles, and has received numerous honors. Jonathan Todres, J.D., is Professor of Law at Georgia State University College of Law. His research focuses on children’s rights and child well-being, with a particular emphasis on vulnerable populations. Professor Todres’ primary research areas include: child trafficking and other forms of violence against children; implementation of children’s rights law; human rights and the social determinants of health; and legal and cultural constructs of childhood. Professor Todres has authored numerous publications on a range of children’s rights issues. He also serves as a regular advisor to nongovernmental organizations working to address violence against children, including as child rights advisor to ECPAT-USA (End Child Prostitution and Trafficking) and as a board member of the Georgia Asylum and Immigration Network. Professor Todres is a Fellow of the American Bar Foundation. He received his B.A. (international development) from Clark University and his J.D. from Columbia Law School.